Since the 1934 publication of Mary Poppins, stories of this magical nanny have delighted children and adults for generations. 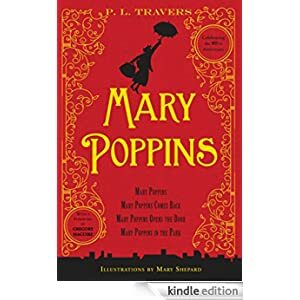 This collection includes the first four tales by P. L. Travers, illustrated by Mary Shepard: Mary Poppins, Mary Poppins Comes Back, Mary Poppins Opens the Door, and Mary Poppins in the Park. This bundle is for readers in grades 3-6 and is selling for only $1.99 today.